Established as a family business in 1976, Farol today is made up of 165 sales, service, parts, transport, tyre and admin staff whilst still remaining 100% family owned. Simply click the picture on the left to be taken to our online guide which help you through the available options for your new lawnmower. 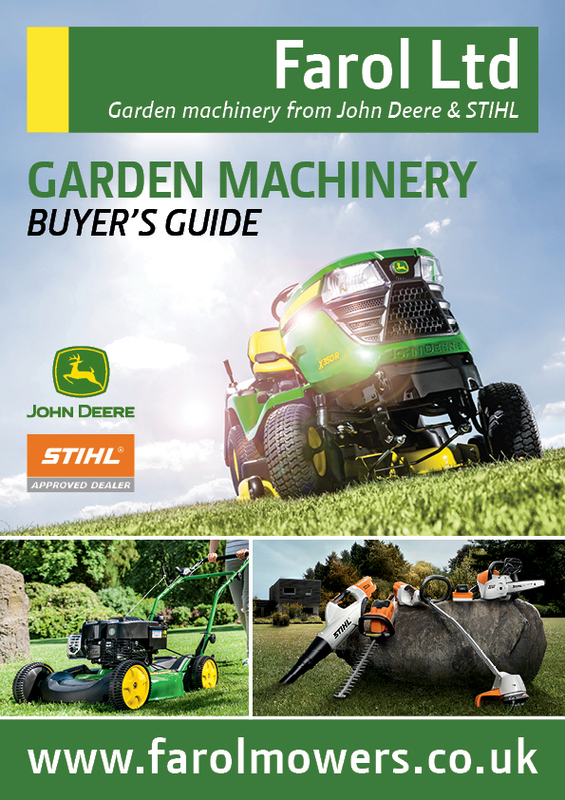 Our Garden Machinery Buyer’s Guide also contains special offers on a range of STIHL garden machinery such as chainsaws, grass trimmers/brushcutters, hedge trimmers, pressure washers and leaf blowers in addition to John Deere walk-behind and ride-on lawnmowers.